A Palestinian poet hit headlines in the past month, the court demands that he recants his words. Ashraf Fayadh was initially sentenced to death, but by some providence the judgement was upturned. Now he will just waste some eight (8) years in prison plus 800 lashes. Fayadh has been accused of atheism, his words have become a national problem. All over the world, expression has become a weapon and a crime in some communities. The writer is never guiltless, he is a murderer, an harlot, a thief, rebel. The writer takes on the character of his story and like the “lamb of God” he has to bear the sins of the world. In bible stories, “The word” bears our transgression why? Because he has to be everything to everyone and for everyone so that he MAY save some. Anyone can interpret a verse to mean anything to their own selfish end. The writer usually sets out to represent a select few, to speak for a limited audience but in the end his words could reach the whole world! I am of the opinion that without conflict, there would be nothing to write. In fact, one of the first lessons fiction writers are taught is to introduce the conflict early enough, was there a murder charge? A stolen virginity? A betrayed lover? The fight propels you to write, then your work raises the dust for another bout of fights. 2. Unsupportive family and friends. Some advice that writers should know where to draw a line, be careful when your writing crosses religious and political lines. Be sure that you can bear the brunt of whatever comes from your circle of friends, no one goes lighting a Cigar near exposed fuel/gas. Should a writer’s personality be divorced from his writings. “I don’t think there are any hard and fast rules about writing. People actually write better when they write about what they know, things that they feel passionate about. Writing works well when it involves feelings that they truly identify with. So I don’t think a writer should aim at separating his personality from his writings really. Sometimes the mark of a good story is in the reader’s inability to accept such as fiction. It means the writer was able to evoke such deep feelings in them that they can hardly believe it wasn’t all real. “Writing is unique , there are hardly any rules to follow. Every writer has a unique style, I think a writer shouldn’t shy away from writing about his personal life. It makes originality very easy, coming from a personal point of view. It makes you have an attachment to your characters, you are immersed deeply into what you are trying to convey. 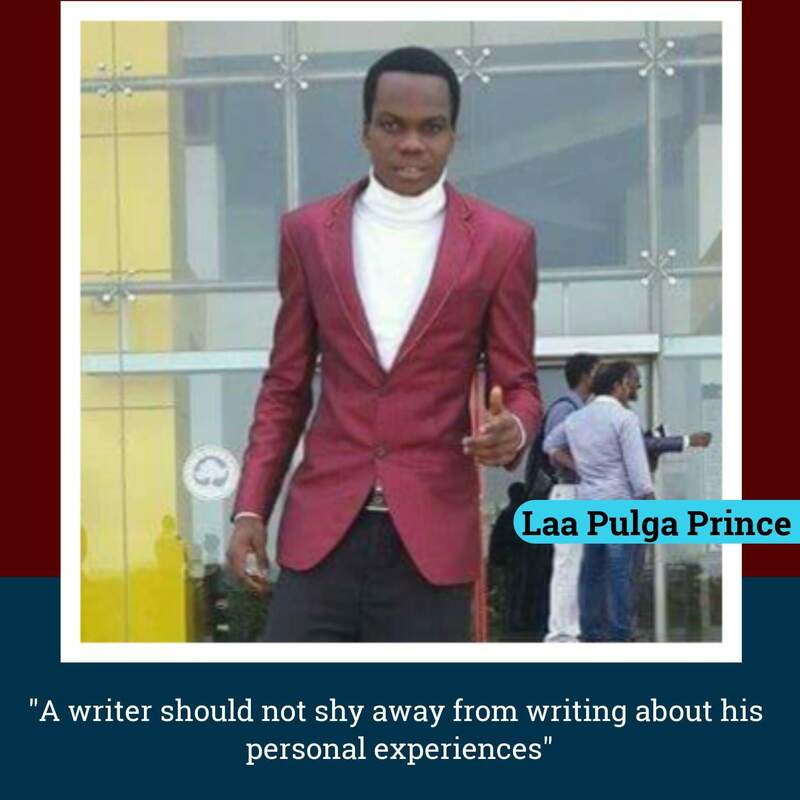 Writers may be unique, but a personal attachment ensures that you captivate your readers” ~ Laa Pulga Prince. At the core of the ideas presented here, originality stands out. Personal stories may be comfortable, they may give us the assurance that we are writing in familiar territories. However, It is the greatest mastery of art that produces the kind of writer who can immerse himself in a life that is not his own and bring it to life. As much as my friends believe that the writer should dig into personal experiences for originality sake, I believe also that the art of writing goes beyond a personal commodity. If we never learn to set aside our sentiments, prejudice, to take on the life of other people, to see life from the lenses of 2 or more characters then our stories will never be complete. If you are a Male writer, have you tried to write as a lady? Do not shy away from introducing personal experiences into stories but attempt to act as an independent agent who cannot be found picking sides in the conflicts that produces our stories. 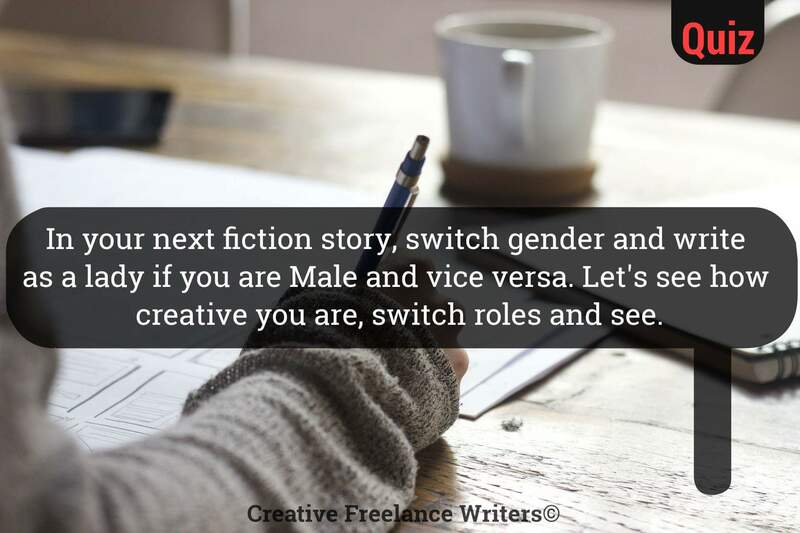 Today’s exercise is simple, try to write your next story from the perspective of a lady if you are a Male writer and vice versa. This also inspires you to build your skill, to ask questions, to be inquisitive! Originality can be acquired, it can be learnt even when we are only representing others. 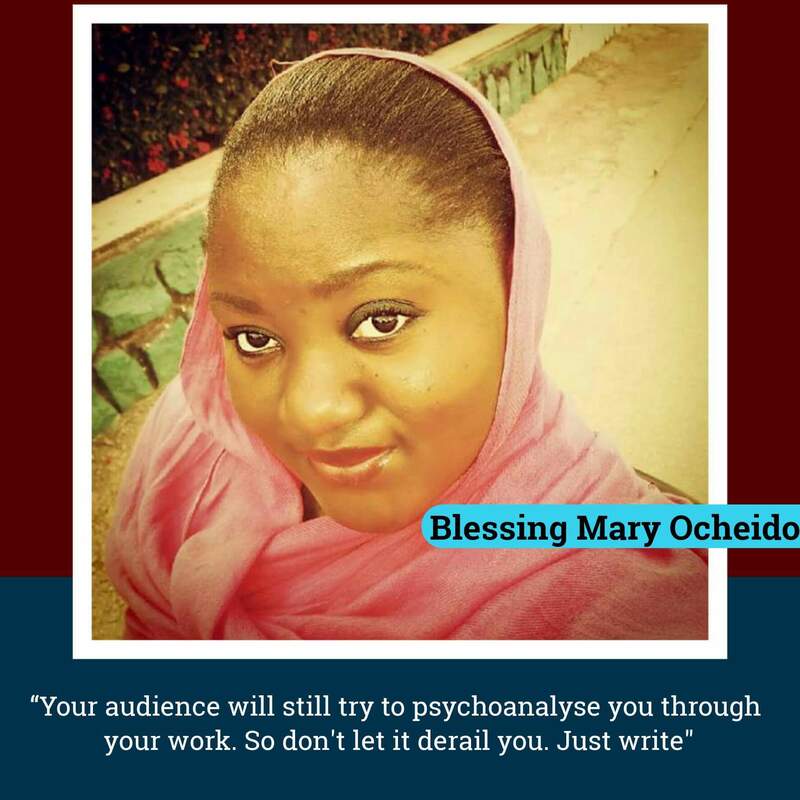 Blessing Mary Ocheido is a Pharmacist, Author of “Thorns of Rose” and a Freelance writer from Benue state. She lives and works in Abuja, Nigeria. Onyemaobi Prince Uzor (Laa Pulga Prince) is a Medical Personnel at Federal Medical Center, Owerri. He is the Author of “The pioneers” and a Poet.